Set of 12 bowtie clothespins. Add a whimsical touch to your bow tie themed birthday party, baby shower or wedding with a set of mini bow tie clothespin clips. 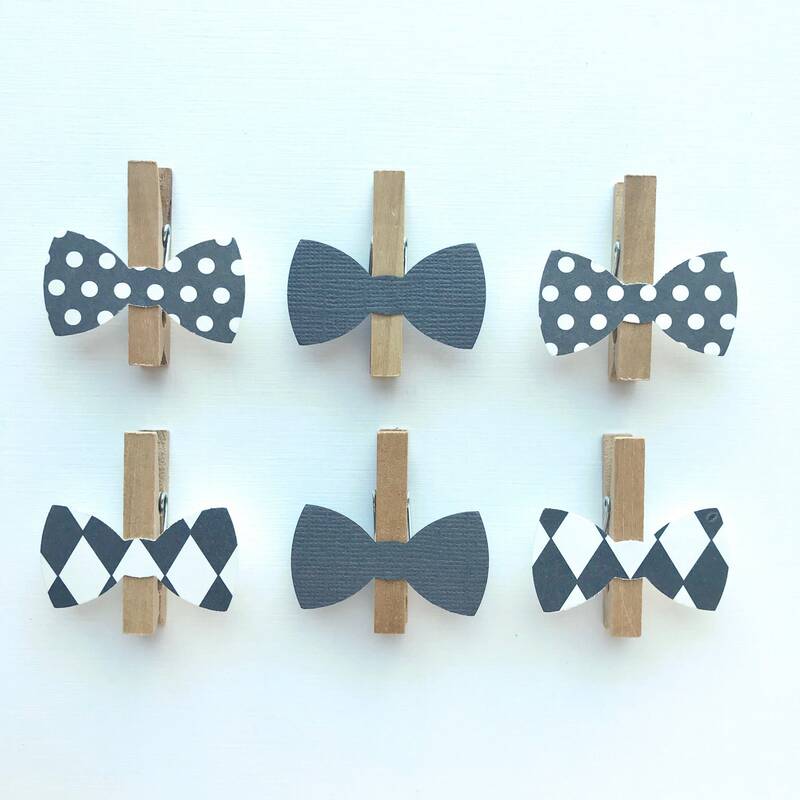 The bowties are cut from a thick cardstock in solid grey, mini polka dot grey, and grey and cream ribbon stripe. adorable & exactly as described. They are so perfect in size. They are really cute. I received them promptly. Thank you Monique for your beautiful work ! Can't wait to use for my sister's baby shower.